It's a known fact that "Health is wealth". As technology is advancing, many innovations are in progress in health technical industry. 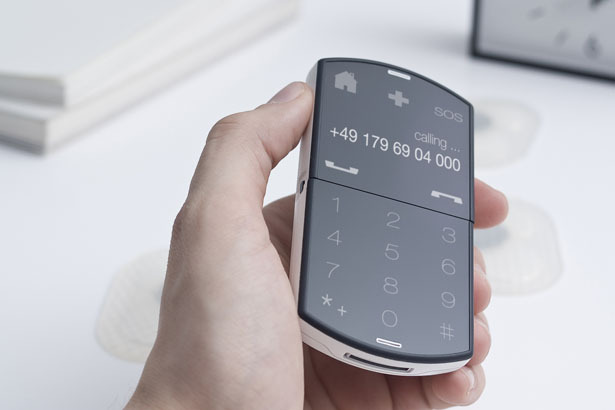 Designer Rochus Jacob has come up with an amazing idea of integrating Health assistant in mobile phone. If you think I am talking about an app, then you are totally wrong. 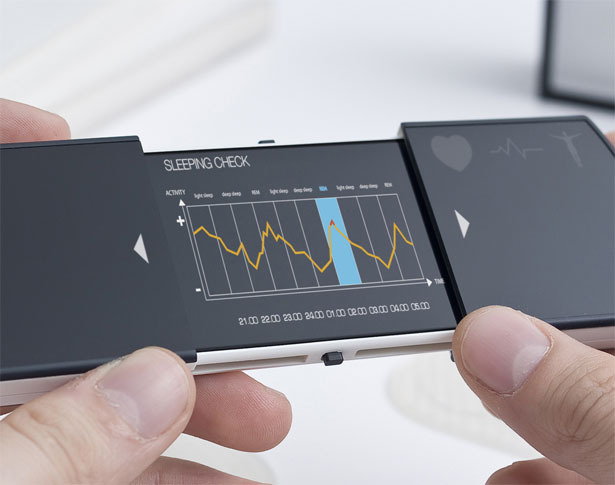 Health Assistant device is a cell-phone like display device which provides patients access to their health information. Apart from health information it synchronises their medical data with an external server where their doctors can view and monitor patients progress. This makes doctors more easy to help their patients to recover soon from illness or they can easily detect or predict any abnormal conditions in patients body. You may be wondering how this displays your health related information. Check image below. 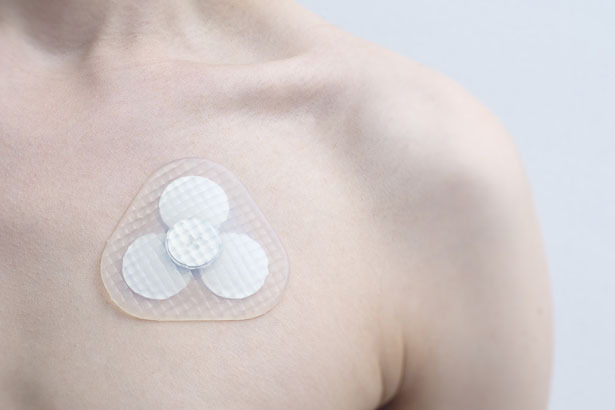 You just need to attach few sensors and transmitters to your body before you are getting dressed. Once its in on your body it just starts the work and update you accordingly. Imagine if robots replaces doctors in future. They can keep track your health always and provide your health suggestions. I am sure this dream may come true few decades later. But for now, Health Assistant is an amazing and innovative idea which will bridge the gap between the doctors and patients. As you can see in the pictures, health assistance has dual layers. Outer layer looks and acts just a like a smart phone with an e-ink touch display to operate the phone. The next layer will be visible when you just slide and open the outer layer to check your medical data.